Becoming a dad is a very life altering experience for a man. Fathers give up a lot of freedom in order to be accountable for a family and its well being. 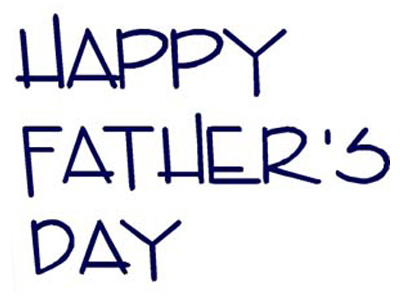 For men being a dad is a chance for them to bestow their life’s experience to their kids to show them the right path. You dad is the number one guy in your life and if you want to honor him in Father’s Day, Yoovite.com has a unique tool to invite your friends and relatives to your Father’s Day celebration. There are books on Father’s Day that you can read in order to get an idea about how to treat your dad on his special day. The examples are "Just Like My Day" by Tricia Gardella, "A Perfect Father's Day" by Eve Bunting, "Climbing Kansas Mountains" by George Shannon, "My Dad is Awesome" by Nick Butterworth and "Can I Help" by Marilyn Janovitz. You can get many good ideas from these books. Gifts for men may not be the best way to show your care to your dad but there are things you can get him on his special day. Special Key Chain – It can have the best sports or movie characters your dad likes with a happy father day wish. Scented Soaps – You can get aroma therapy based scented soaps for your father on his special day. Cookie Jar – You can make a muffin or candy jar as well. If you can get a themed jar, it would be great. You can wrap it and decorate it as well. Necktie Cake – It is a special cupcake you can prepare in the shape of a necktie. Terrific T-shirts – This is where you can really impress your father. You can get great T-Shirts with many themes such as sports, science fiction etc. There are activities that you can get your dad involved in on Father’s Day. Fishing – Going out fishing is a great idea on Father’s Day. You can try the nearby lake, river or even go out to the sea if your dad loves adventure. It is a great way to connect with your dad and nature. Music Festival – Take your dad out on a music festival. Depending on his music tastes, see whether concerts are available and book tickets accordingly. Volunteer – If your dad is a social type, then you can get him to volunteer for a soup kitchen, community garden, outreach program etc. Spa Day – Your dad likes being pampered and if you can book a trip to a massage parlor it would be a great gift for him. Archives Tour – If he is a history buff, then you can take him to the library or historical society and take tours of the archives. Car show – If he loves cars, then going to the local car show is a good activity that you can do on that day.